You may be apprehensive about going to a spine specialist, especially if it’s your first time being referred to one. However, your initial consultation with a doctor specializing in conditions affecting the spine and its related parts can be productive and beneficial if you make an effort to be as prepared as possible. Keep the following tips in mind as you prepare for your appointment. Also, know that most spine specialists truly want to make a genuine effort to enhance your quality of life. If it will be your first time going to a spine specialist (or that particular specialist), arrive about 15–20 minutes early for your appointment to give yourself a chance to sign in, fill out any necessary paperwork, and confirm your insurance is accepted. You can always use whatever time is left until you’re seen to relax and prepare yourself mentally for your visit. There’s a reason a spine specialist may ask about such things as whether you smoke, consume alcohol, or get regular exercise. This information may be used to determine what is contributing to your discomfort and the type of treatments you’ll likely benefit from. Therefore, it’s important to be honest when answering questions of this nature and to remember you’re not being judged. For example, your spine specialist may recommend having one of a variety of surgical procedures, including spinal fusion alternatives. Santa Monica patients could continue the discussion by asking whether treatment methods that worked for friends or family members might be effective for them as well. Lastly, don’t be afraid to get additional opinions after your initial consultation with a spine specialist. Simply being referred to a specialist doesn’t mean you’re obligated to receive care from that individual. In some instances, scheduling more than one consultation may give you a better idea of the available options so you can make a well-informed decision about what’s best for you. If you’re having sudden, severe, or long-term pain in your back or neck, consulting a Santa Monica spine surgeon may be the key to prompt diagnosis and treatment. 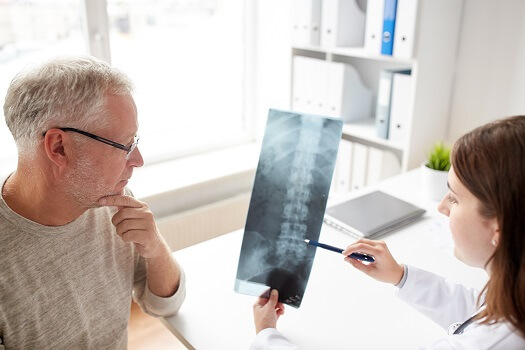 At The Spine Institute, our physicians have years of experience treating issues of spinal health. Our cutting-edge methods and pioneering specialists lead the industry when it comes to surgical and non-surgical innovations and helping patients get back on their feet as soon as possible. Call our friendly staff today at 310-828-7757 to schedule a consultation.